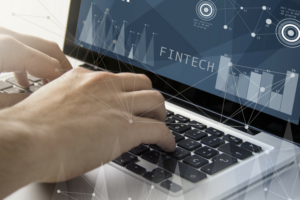 The excitement among innovative bankers and fintechs was palpable this week as the Treasury Department gave official support to the ongoing digital transformation of lending and financial services. The 223-page report, “A Financial System That Creates Economic Opportunities: Nonbank Financials, Fintech, and Innovation,” took a very strong position in creating a regulatory framework and environment that promotes innovation within financial services. Streamlining the regulatory environment to foster innovation across business models. Modernizing activity-specific regulations: Updating rules to accommodate technological advances such as facilitating service partnerships between banks and nonbank firms and further digitizing the mortgage experience. Reforming regulatory requirements and guidance for technologies like cloud computing, artificial intelligence, and machine learning in the financial services sector. Advancing the harmonization of state licensing and supervision to increase efficiency, particularly for lending and payments companies. Marketplace Lending: Codifying by Congress of the “valid when made” doctrine and the role of the bank as the “true lender” of loans it makes to better support productive partnerships between banks and newer technology-based firms. Working with federal and state regulators to design a system functioning like a “regulatory sandbox” that would establish a unified regulatory approach and facilitate coordination and meaningful experimentation with innovative financial services. Reforming procurement rules to allow financial regulators to use other transaction authority for research and development and proof of concept technology projects. As we have covered in past blogs, there is a lot of potential value of developing a uniform, nationwide charter, but know it will be just a part of a promoting a transparent, efficient and customer-friendly financial system that fosters innovation in financial technology within the framework of sound public policy. However, whether it is worth the effort and expense rather than just developing strong fintech-banking partnership is another question that marketplace lenders and other fintechs will have to address. Regardless, we believe the industry is in the position to come together and put in place many of the systems and best practices that will drive that system. The report is clearly encouraging an environment to promote this endeavor, but it is up to the industry to demonstrate leadership and move forward, rather than just waiting for regulators to dictate terms.